For some reason this joke just killed me. I took little breaks while drawing it so that I could laugh. Would that be Awesome? or Chuck Norris? I’m not sure the correct answer here. “For some reason this joke just killed me.” You and me, both! Sharing it all over. 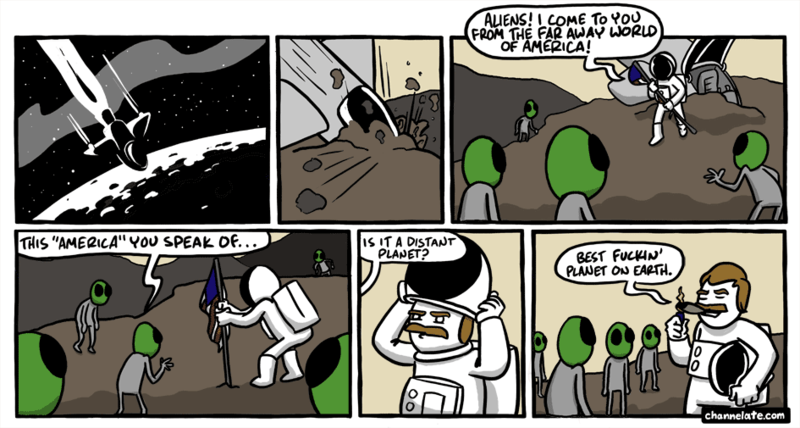 As a foreigner living in the U.S., that’s totally what I feel like when I remember that legally I’m an “Alien”. Well, thank ya kindly! I really appreciate that!